Styling homes for life; styling homes to list. Whether you want a space to be freshened up, to become more functional or need a total do-over to love your house again - Elevation Redesign and Staging can bring your dreams to life. Elevation Redesign and Staging has a proven track record of styling homes to sell quickly and for top dollar. 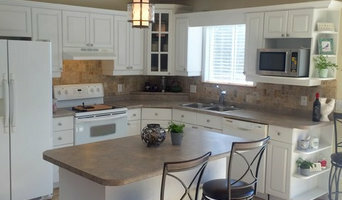 We transform your home from the place that you live...to the place that everyone wants to live! Using your existing furniture and accessories and adding pieces as needed we will make your home into a showplace that buyers will fall in love with. Staged homes get more traffic, sell faster and for more money. White Elk Interiors is an award-winning, boutique interior design studio located near Collingwood, Ontario. Specializing in residential interiors, we create warm, striking and functional spaces that are progressive, contemporary and often Nordic inspired. 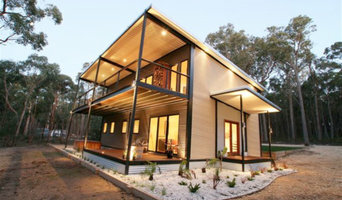 Established in Australia in 2012 by Canadian designer and stylist Janice King-Smith, White Elk Interiors' design work has been published in architectural textbooks, Canadian magazines, and featured internationally in Houzz articles in Australia, Germany, Italy, Eastern Europe and Russia. To ensure our clients receive the highest quality service and exceptional design outcomes, we only take on a few special projects each year. To discuss your upcoming design needs please send an email to hello@whiteelkinteriors.com or call 1.705.441.3462. Free 1 Gal Benjamin Moore Regal Select! Selected by Design Et Al in London, UK as one of The World's Leading Design Names for 2019. Alexandra has more than two decades of design experience and works with clients from concept to dreamy reality. Alexandra Naranjo Designs is one of the most celebrated luxury design boutiques in the city, she offers unparalleled expertise in crafting a personalized, luxurious home. Alexandra will turn your home into a luxurious home, gracing every corner of the property with a carefully considered design. Her signature process has been carefully honed throughout years of experience spent cultivating and creating a multitude of spectacular designs, which can be explored online. As a boutique design studio, she only takes on a select number of clients at a time to ensure each project gets the attention and care it needs. Alexandra understands the importance of having a personal space created and curated just for you. 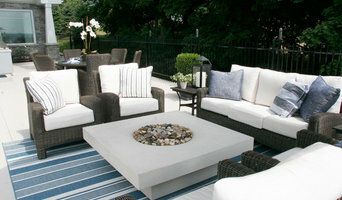 Gairdner Design is a boutique interior decorating firm that helps modern professionals create the home of their dreams. Gairdner Design specializes in residential renovations (whole or part of the home), kitchens and baths, and interior decorating. Hello, Design Lovers! I’m Michelle, interior decorator and lover of all things style. As a wife and mom to two young kids, I know the importance of having a home that reflects your personal style, but is also practical enough to handle everyday life and comfortable enough for relaxing and making memories. I love using lush fabrics, vintage furniture finds and pops of colour to transform your rooms into a haven where you can truly feel at home. My use of “high and low” materials means we’ll be able to create a stunning space that fits any budget. It all starts with a conversation: tell me how you envision your space. I’ll use digital visual tools, source materials and do all the shopping and heavy lifting, so all you have to do is relax and enjoy. Welcome home! LVZ Design is based in Barrie, Ontario. We offer residential design services and can be involved in your project from concept to completion. Our style is simple, elegant, and classic. A good home design professional will hone your style down to its very essence and be able to choose a functional layout that feels natural to you. Interior design companies can be involved as much or as little as the client desires. Many clients who hire an interior decorator in Collingwood, ON — particularly those who are remodeling — have a good sense of how the room should look and what products they should use. Often clients will insist that interior decorators use the products already present in the house. Other times a designer will need to start from scratch — especially if this is a newly purchased or just-built home. An interior design company will need to figure out exactly what the client needs, which includes organizing rooms, picking flooring and wall colors, and finding furniture to complement it all. Sometimes that means he or she will have to recruit help from other Collingwood, ON home professionals to help create the perfect look for your renovation. Here are some related professionals and vendors to complement the work of interior decorators: . Do your research before meeting with an interior designer or home decorator in Collingwood, ON. Ask yourself what you want your space to become and what it will be used for. Figure out the extent of what you need help with, what your must-haves are and what your budget is. Interior design services can add up fast, so be up front with a potential design firm or individual from the beginning. Also, pick an interior decorator that fits your style. Browse through the portfolios of different Collingwood interior design firms and decide if you would live in those houses. Just because you like something doesn’t mean you could live in it. There's a big difference! Find an interior designer or home decorator in Collingwood, ON on Houzz. Narrow your search in the Professionals section to find Collingwood interior designers near you. You can also look through Collingwood, ON photos to find a room you like, then contact the design firm who designed it.